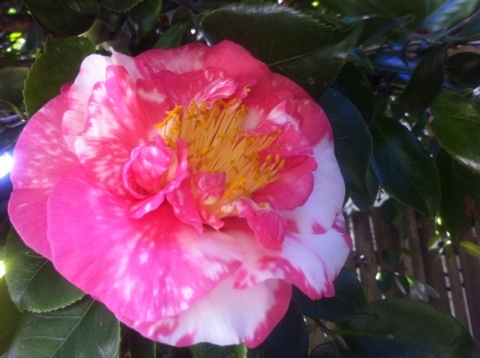 Although Camellias will always be associated principally with Japanese culture, some 75% of the world's 100-odd species originate from China, nearby islands and the Indo-Chinese peninsula. These handsome, woody plants (and sometimes, trees) are not only prized for their wonderful blooms, but their glossy leaves which are used in floral arrangements. The flowers of the vast majority are neither large nor spectacular but are about 4cm in diameter and plain white. Even smaller for the genus C. sinensis whose leaves and leaf buds are used to produce tea. There are two major varieties grown for tea C. sinensis var. sinensis for Chinese teas, and C. sinensis var. assamica for Indian Assam teas. White tea, yellow tea, green tea, oolong, pu-erh tea and black tea are all harvested from one or the other of these two varieties. They are processed differently to attain varying levels of oxidation. Kukicha (twig tea) is also harvested from C. sinensis, but uses twigs and stems rather than the leaves. 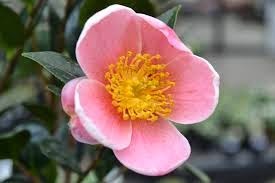 A small number of C. japonica first hit the shores of England in the early 18th century and their blooms immediately caught the fancy of nurserymen, so much so the varieties of C. japonica have swelled to over 30,000 varieties! C. sasanqua, a slender, densely foliaged shrub or tree perhaps grows best here on the Coffs Coast. It has lightly fragrant blooms enjoying our higher temperatures and can be grown in full sun, blooming in the autumn. C. japonica, C. reticulata and C. chrysantha will grow here but prefer to be protected from the sun in deep, neutral to slightly acid soil (reproducing their natural forest surroundings of shade, good drainage and humidity). Cause - usually scale (check for tiny pear-shaped or brownish pinhead-sized scabs mainly on backs of foliage). Solution - Spray with white oil or organic eco-oil. Solution - Rarely of serious consequence. No positive cure. Do not propagate from this shrub or tree. Cause - Can be due to excessive dryness, or to bad drainage and root rot. Solution - Flood soil during dry conditions. Cause - Die back, usually due to root rot in poorly-drained or slow-draining soils. Solution - Impove drainage, free drainage holes of containers. 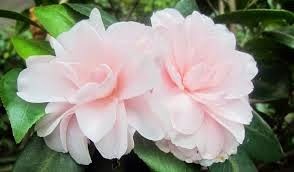 Camellias grafted or budded on sasanqua usually have greater resistance to root rot. Cause - some falling of lower leaves natural. Frequent heavy fertiliser applications can sometimes be responsible. Solution - Flood soil. Prevent soil drying out after feeding and apply fertiliser to drip line only. Large yellowish or bleached patches in centre of foliage, later browning. Solution - Provide light shade or select a more sun-tolerant variety for this situation. Soak soil regularly during hot, dry conditions. Cause - either planted too deeply or over-limey soil. Solution - Rake back excessive soil to expose top of root ball then cover with leafy mulch or compost. Small corky incrustations, mainly on backs of leaves. Cause - Usually a constitutional factor rather than disease. Solution - Improve watering, mulching and feeding during spring and early summer. Cause - Sooty mould fungus which lives on sugary secretions from scale. Solution - Spray with white oil or other preparation used for scale. Solution - Spray with a preparation specific for aphids. Cause - Need for pruning. Solution - Remove all thin twiggy growth close to main stems or branches. Cut latter back to where they are at least 1 cm in diameter. Do this in late winter before new growth starts. 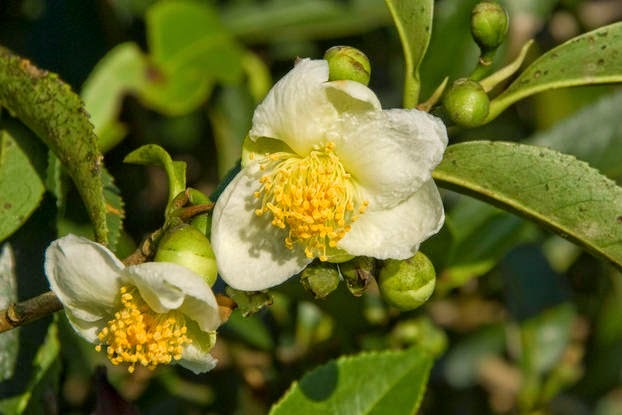 For further reading about Camellia please read this article from Angus Stewart. There are different kinds of flowers. 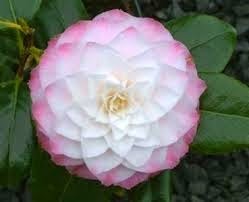 Camellia is beautiful kind of flower. 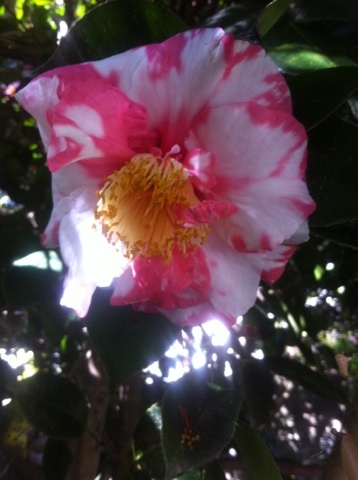 Many people like to grow the plant of this kind of flower. Colour of this flower is beautiful and attractive. 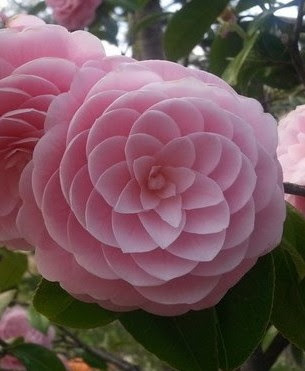 petals of this flower are also beautiful.